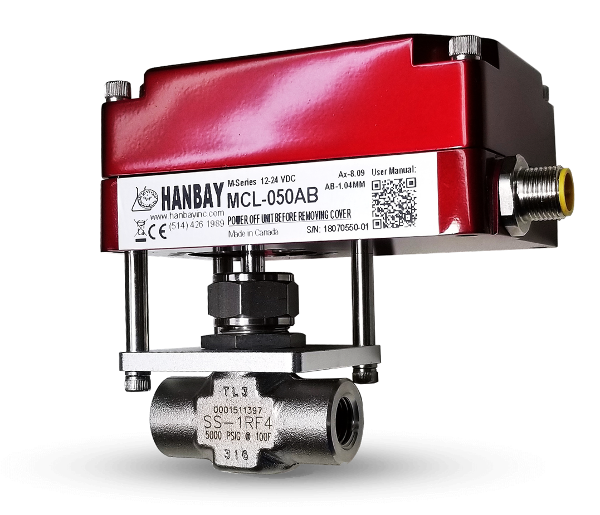 Hanbay actuators can be found embedded inside marine watermakers, reverse osmosis systems and other desalination devices. The actuator's compact size, low power consumption and precise valve positioning makes it the ideal flow control tool. Adding this electric valve actuator to your equipment allows you to fully automate your watermaker system. Description: The diagram above depicts a simplified schematic of a reverse osmosis system equipped with Hanbay M-Series valve actuators. Hanbay actuators are shipped plug-and-play ready for simple integration into your marine watermaker equipment. Tell us about your valve application.